Team 314 members get ready for the competition. 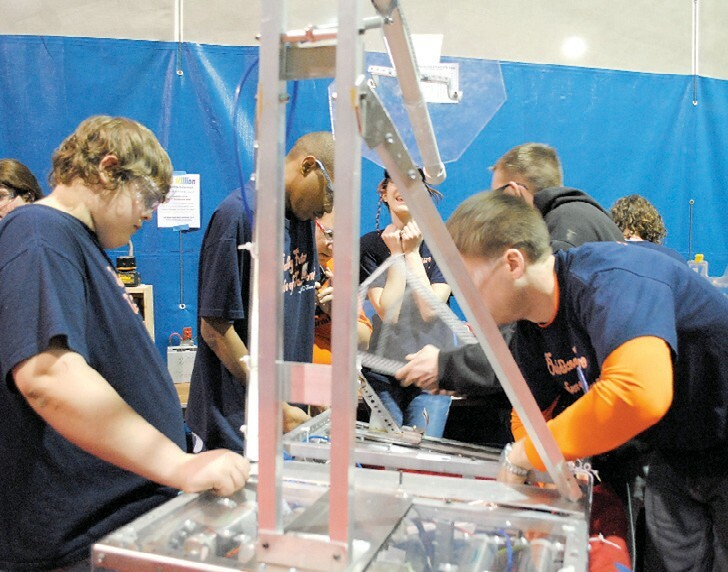 FLINT — Big Mo and Team 314 from Carman-Ainsworth High School participated in the FIRST (For Inspiration and Recognition of Science and Technology) Robotics District Competition held March 4- 5 at Kettering University. The two-day competition drew more than 2,500 visitors over the course of the event. 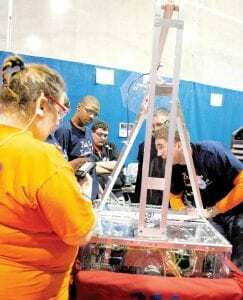 This year’s contest, entitled “Logo Motion,” required the robots to maneuver on the field and place triangular, circular and square inflatable tubes on poles. Some robots also deployed “minibots” — tiny robots that climbed poles — to earn points in the competition. Team 314 used a “minibot,” called Little Mo Peep, that was built in conjunction with DaPeeps. The Juggernauts of Pontiac, Killer Bees from Auburn Hills and T.O.R.C. from Oxford won the district competition. Metal & Soul of Capac won the Chairman’s Award, qualifying the team for state finals. The Dragons of Swartz Creek, the Martians of Goodrich and Chimeras of Lapeer earned silver medals as second place district finalists. 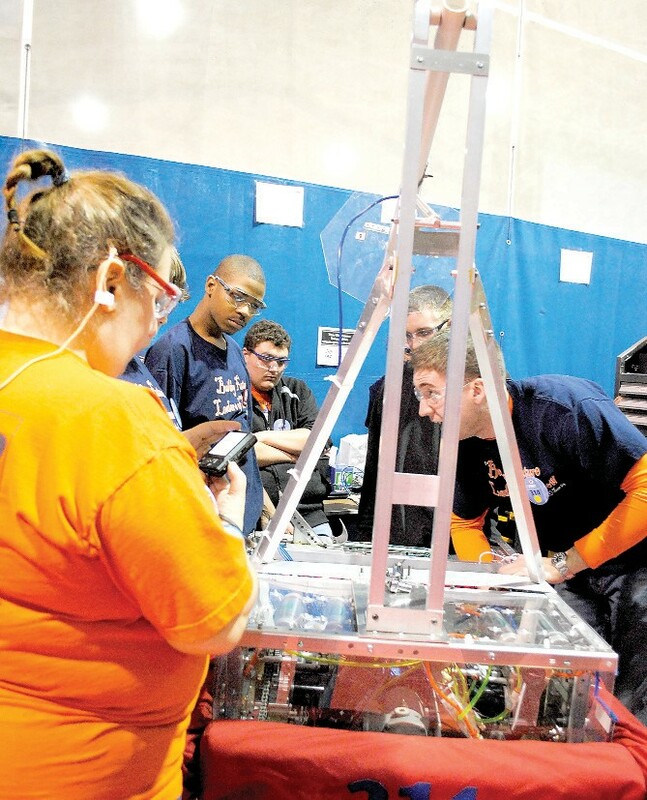 In total, 38 teams competed in Kettering’s district games over the weekend, one of nine district competitions in Michigan. The state championship will be in Ypsilanti April 7-9 and the national championship is set for St. Louis, Mo., April 28-30.